Since Biblical times moneylending has been a source of profound conflict—and it continues to haunt financial, social and cultural life in most parts of the world. 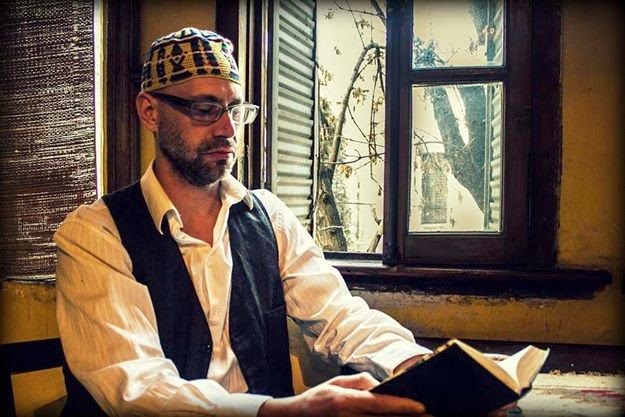 When William Shakespeare wrote “The Merchant of Venice” Christianity objected to charging interest on loans, an attitude that was not shared by the Jewish community. This gave way to numerous confrontations and was also used to flaunt anti-Semitism. Today, as well as in 1596, lending money gives the lender power to impose conditions on the borrower. In Shakespeare’s play Bassanio, a young Venitian noble, is in love with the beautiful and wealthy Portia of Belmont, but having squandered his estate he needs 3,000 ducats to subsidize wooing her. So he brings his problem to his friend Antonio, a rich merchant who has often bailed him out of financial difficulties. There’s a snag, however, because Antonio’s ships and merchandise are busy at sea. So he tells Bassanio that he will cover him if he can find a moneylender. That’s where the Jewish lender Shylock appears, asserting he will not collect interest, as is his custom, but will demand a pound of flesh to be taken near the heart should the loan go to default. As in all of Shakespeare’s plays, the plot gets enormously complicated, but what continues to be discussed is precisely the role of Shylock, whether he is to be considered sympathetically or as an opportunistic abuser, whether there is in this conflict a touch of anti-semitism. Does Shylock collect the debt? He defends his right to do so referring to the laws existing at the time. The hedge funds in Argentina's debt crisis also say they are acting according to the law. But we suggest that the reader see the play and conclude for himself or herself how the issue is resolved. In this version of the play directed by Alicia Vidal, the character of Sylock occupies an intermediate position between the scoundrel and the proper man of finance. Vidal chose to break down the Shakespearean structure of acts and scenes into short and agile sequences stressing the essence with no other adornments than a table, a chair, some cloths and money boxes. The actors themselves bring on or take off the props, giving the show a participatory feeling. Although the text and actions are abridged, they are maintained intact in their essence. The costumes are modern, yet retain touches of the Shakespearean era. As a result the play is entertaining, relatively light in substance and sustains good dramatic rhythm until the end, keeping the audience’s attention focused on how the conflict will be resolved. The young actors of the Pest Group give a fresh uptodateness to the play. 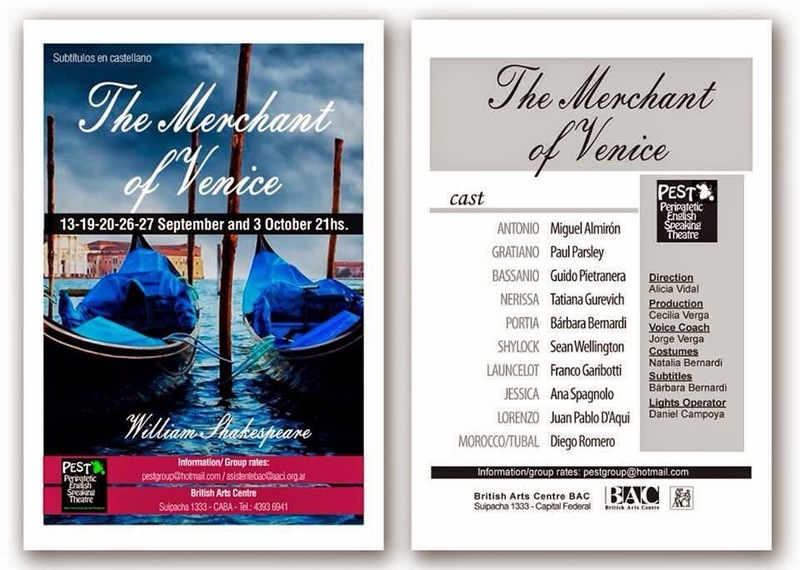 The Merchant of Venice, 19, 20, 26 and 27th of September at the British Arts Centre, 1333 Suipacha street, Ciudad de Buenos Aires, Argentina.